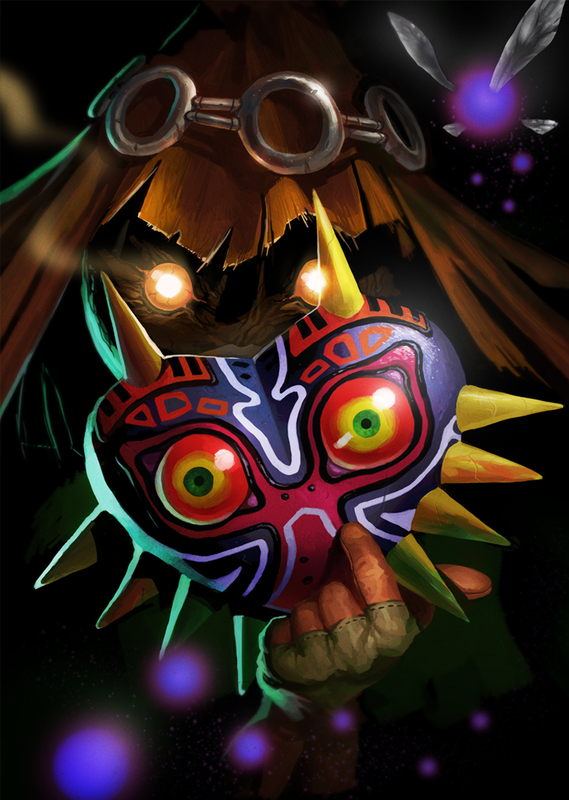 Today’s Zelda Fanart Spotlight is on Deviantart artist GO-MAXPOWER‘s “Majora’s Mask: Skullkid“. As it says in the title the Skullkid from Majora’s Mask is the character that is majorly shown in the picture. The other two characters that are shown with him are the titular mask as well as Tael, the Skullkid’s fairy friend. The most noticeable thing on this piece would be the lighting. The lighting draws your eyes to the mask that is in the Skullkid’s hand and shows the creepiness of the mask’s looks. The next thing you see is the Skullkid’s eyes. They way they glow shows his mischievous nature, but at the same time one can also see the darkness that lies within. Lastly, but certainly not least, Tael comes into view. 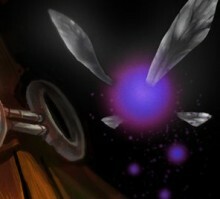 His low purple glow shows that he is there and one can see the glowing purple orbs he left as he flew around the Skullkid, possibly trying to assure him of his presence. His loyalty to his friend shows as he is willing to stay with him and try to help rid him of the curse of the mask before it is too late for everyone. I believe that this may be the most awesome drawing I’ve ever seen of the Skullkid. In short, the artist portrayed the character excellently and I can’t wait to see some more Zelda-related fanart come from him if this one fanart looked amazing! And speaking of the artist, please go check out his gallery and also let him know what you thought of this piece. Also please let us know your thoughts on this in the comment section below!